Muskerry News | Scoil Mhuire Ballincollig students build a robot! Scoil Mhuire Ballincollig students build a robot! On Wednesday January 17th a team of 21 girls from 5th and 6th class in took part in the Dell VEX Robotics held in the Cork Institute of Technology, along with over 20 teams from various primary schools. The Ballincollig girls have been working hard with their teachers Iníon Uí Lomasna and Iníon Uí Dhonnabhaín on designing, building and programming a robot since September and there were many tasks to be completed throughout the day such as a presentation to the judges on their STEM project which was on the use of robotics in the medical field. They also competed against other schools’ robots in various competitions. 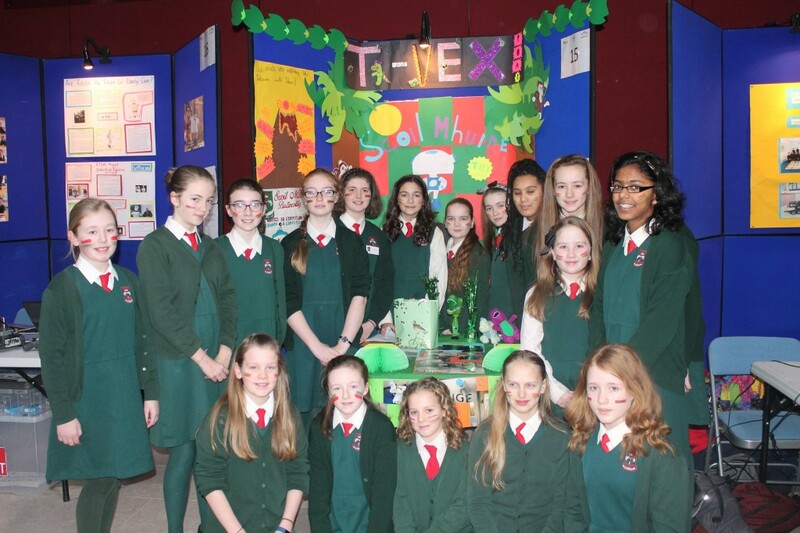 The school has been taking part in this event for the last four years and, this year, the Scoil Mhuire team won the ‘Design Award’ and also secured a place in the finals on March 1st. It has been a great experience for our pupils so far to showcase all they have learnt over the last few months and we look forward to another opportunity to do this in the finals in March.